Alumna Eden Robinson is a Giller Prize finalist for her latest novel, Son of A Trickster (Penguin Random House). This is Robinson’s second Giller nomination, following her debut Monkey Beach back in 2000. Robinson is one of five finalists chosen from a longlist of 12 books — which also included alumna Deborah Willis for her story collection The Dark and Other Love Stories (Hamish Hamilton) — and the winner will be announced on November 20. Robinson was also announced on November 7 as the recipient of the 2017 Writers’ Trust Fellowship, which comes with a $50,000 award. “I’m a little stunned,” Robinson told the Globe & Mail in reaction to the news. Writing professor emeritus and beloved poet Lorna Crozier is a finalist — again — for the Governor General’s Literary Awards, this time for her poetry collection, What the Soul Doesn’t Want (Broadview Press). 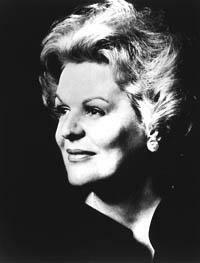 Crozier won her first Governor-General’s Award back in 1992, and we’ll find out on November 1 if she wins again. MFA alumna Yasuko Thanh took home the 2017 City of Victoria Butler Book Prize on October 11. 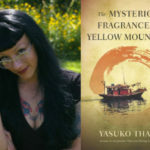 She was awarded the $5,000 cash prize for her first novel, Mysterious Fragrance of the Yellow Mountains (Hamish Hamilton Canada), which was reported in both this Times Colonist article and this CHEK news broadcast, while Thanh spoke about the writing life in this CFAX 1070 Radio interview. Also nominated for the 2017 Victoria Book Prize were fellow alumni Patricia Young for her poetry collection Short Takes on the Apocalypse (Biblioasis) and Steven Price for his novel By Gaslight (McClelland & Stewart). Theatre alumna Carleigh Baker was announced as the winner of the 2017 Vancouver Book Award on October 13 for her short story collection Bad Endings (Anvil Press), which explores a range of human experiences, from the death of a relationship to struggles with mental health. The $3,000 prize recognizes authors of any genre, who evoke an appreciation and understanding of Vancouver’s history and people. 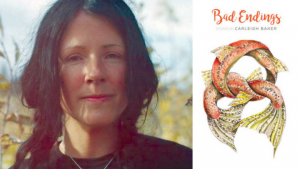 Bad Endings is also nominated for the $50,000 Rogers’ Writers’ Trust Fiction Prize, and Baker was named one of CBC Books’ writers to watch in 2017. Congratulations also go out to current Writing undergrad Kade Bound, who was recently announced as the winner of the Lambda Foundation’s annual Candis Graham Writing Scholarship. Finally, Writing professor Tim Lilburn was named the first Canadian recipient of the prestigious European Medal of Poetry & Art on October 10. 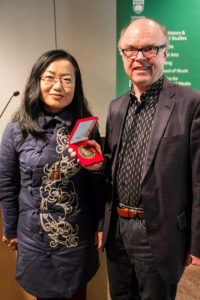 Commonly referred to as the “Homer Medal,” Lilburn was presented the award by visiting Chinese poet and editor Zhao Si at a small reception on campus. It has been a busy couple of years for Rande Cook. 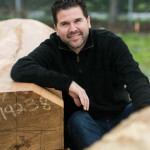 Beyond his duties as chief of Vancouver Island’s ’Namgis Nation and his commitments as an in-demand contemporary artist with an international practice, Cook just completed two back-to-back terms as the Audain Professor of Contemporary Art Practice of the Pacific Northwest with the Visual Arts department. More than just creating a challenging course, however, Cook found the Audain Professorship provided him with the chance to bring his own artistic training into play. 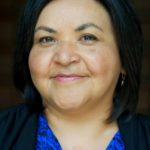 Cook is the sixth artist to hold the Audain Professorship, following the likes of Jackson 2Bears, Michael Nicol Yahgulanaas, Nicholas Galanin and Governor General’s Award-winner Rebecca Belmore. 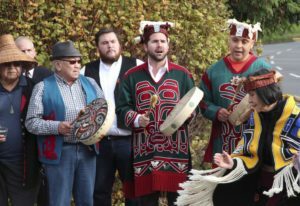 Beyond his time in the classroom, Cook was also frequently seen around UVic in his role as chief, participating in events at First Peoples House, drumming for ceremonial openings, speaking at educational conferences, and taking part in discussions about greater indigenization on campus. 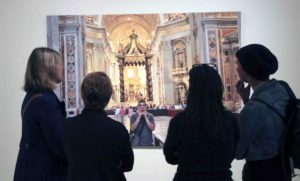 Cook also presented a retrospective of his work in October 2016 as the annual Audain Exhibition. Held each fall in the Audain Gallery, Cook’s Accumulation was timed to coincide with Intersections, a combined conference by the BC Art Teachers Association and the Canadian Society for Education through Art. 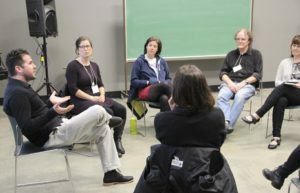 A highlight of the event, Accumulation also provided context for remarks by Cook, who led a workshop at the conference — which also featured a keynote address by Michael Nicoll Yahgulaanas, a former Audain Professor himself. Among the pieces on display at Accumulation was a mask collaboratively created with local artist Carollyne Yardley. 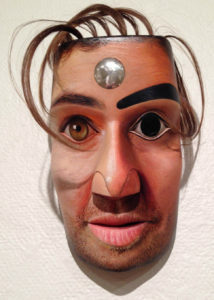 Aptly titled “/kəˌlabəˈrāSH(ə)n / Collaboration Mask,” the piece is a good example of both Cook’s connections with Victoria’s greater arts community and his contemporary take on traditional art forms. “in an era of reconciliation, art has once again become a node through which native and non-native engagement is flourishing through agendas of healing, understanding and respect . . . ‘/kəˌlabəˈrāSH(ə)n / Collaboration Mask’ is an aesthetic response to this cultural resurgence in Canada,” writes Fine Arts alumna Dr. Andrea Walsh in this short essay about the piece. Much like the bridges he builds with his art, Cook feels reaching new communities is an important part of his role as chief and educator. 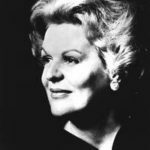 The UVic Orchestra honours the extraordinary Canadian mezzo-soprano Maureen Forrester in a concert on October 27 in UVic’s Farquhar Auditorium. Often described as one of the world’s leading contraltos, Forrester was an artist who not only achieved great acclaim but was also a generous teacher whose legacy carries on through her many students. As a superstar who brought international attention to Canada, this is a fitting way to celebrate Canada’s sesquicentennial. The program features a new work commissioned by the Toronto Symphony Orchestra by Howard Shore, Canada’s acclaimed film composer well-known for his scores for The Lord of the Rings trilogy. 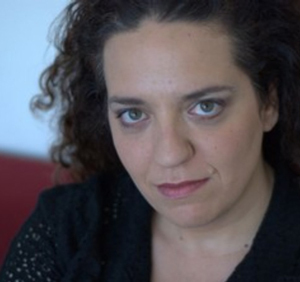 L’Aube (Dawn) — which will be premiered by the TSO on October 19 — is a song cycle for mezzo soprano and orchestra with text by writer, producer and documentary filmmaker Elizabeth Cotnoir. Also on the program is one of Forrester’s signature works, Gustav Mahler’s masterpiece, Das Lied von der Erde (The Song of the Earth), as well as Richard Wagner’s Rienzi Overture. Israeli contralto Noa Frenkel and Victoria’s beloved tenor, Benjamin Butterfield, will be guest soloists with the orchestra. Frenkel is a versatile artist with an extensive vocal range and an affinity for many musical styles. Her repertoire reaches from Renaissance to contemporary music. Co-head of performance at the School of Music, Butterfield enjoys an international career as one of Canada’s most successful and sought-after artists. He has performed to critical acclaim throughout North America, Europe, the Middle East, Asia and New Zealand. “Performing a huge Mahler piece with two incredible singers who are driving forces in the world of singing, is an exceptional opportunity for the students in the orchestra,” says conductor and School of Music professor Ajtony Csaba. This special concert, presented in partnership with the Toronto Symphony Orchestra in celebration of the 150th Anniversary of the Confederation of Canada, received financial assistance from the Government of Canada. Don’t miss this special UVic Orchestra Concert, 8pm Friday, October 27 at the University Centre Farquhar Auditorium. Tickets $10-$20 from the UVic Ticket Centre (250-721-8480 or online) and at the door. Distinguished poet and respected Department of Writing professor Tim Lilburn has become the first Canadian to receive the European Medal of Poetry and Art. 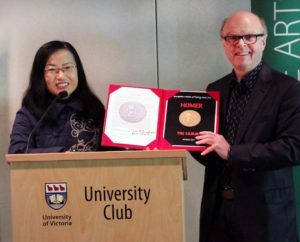 Commonly referred to as the “Homer Medal,” Lilburn was presented with the 2017 prize by visiting Beijing poet and editor Dr. Zhao Si Fang, vice-president of the award committee. 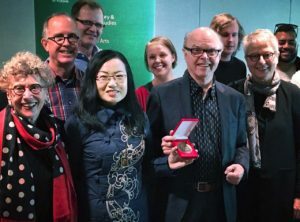 Following the tradition of presenting the medal in the country where the writer resides, Zhao Si traveled to Victoria to present the award at a small on-campus reception on October 10. A prominent Chinese poet, Fang has been translating Lilburn’s work since 2008, including his acclaimed 2012 collection, Assiniboia. 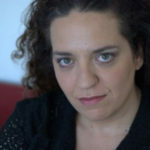 She is also the editor of the Chinese magazine Contemporary International Poetry in Translation; their special 2016 Canadian issue included Lilburn’s work, as well as that of retired Writing professors Lorna Crozier and Patrick Lane. “To be part of a group that includes [former winners] like the Lithuanian poet Tomas Venclova, who would complain?” Lilburn told the Times Colonist in this September 29 interview. “It is a great honour.” Lilburn was also interviewed on October 8 on the provincial CBC Radio show North By Northwest about his award. Created in 2015 in association with the European Union, the Homer Medal is awarded annually by a jury to outstanding creators in the worlds of literature and the visual arts. Previous winners include Turkish poet Ataol Behramoğlu, Armenian poet Gagik Davtyan, Iraqi poet Gulala Nouri and American poet Stanley H. Barkan. The Homer Medal now joins Lilburn’s other prestigious awards, including the Governor General’s Award for Literature, the Canadian Authors Association Award and the Saskatchewan Book of the Year Award, among others. A Fellow of the Royal Society of Canada in 2014, Lilburn is the author of 12 books of poetry and essays, and his work has been translated into French, Chinese, Serbian, German, Spanish, and Polish. “I can think of no more worthy a recipient for this international award,” said Writing chair David Leach at the reception. Dr. Susan Lewis, Dean of Fine Arts, was quick to praise Lilburn’s work. “The quality and depth of Tim’s poetry create a model of excellence in research and creative activity for faculty, and it’s through his teaching that he provides a strong example for how our artistic practice informs the learning process for our students,” she said before a group that included Writing professor emeritus Lorna Crozier, Governor General’s Award winner Arleen Paré, visiting American poet GC Waldrep, award-winning MFA alumnus and WSÁ,NEC Nation poet Kevin Paul, Writing alumnus and Malahat Review editor John Barton, and a number of Writing department colleagues. After receiving his award, a clearly moved Lilburn spoke briefly but emotionally about the role of poetry in society. In addition to receiving the Homer Medal, Lilburn has two news books coming out shortly: The Larger Conversation: Contemplation and Place, an essay collection being released in November by University of Alberta Press, and The House of Charlemagne, a book-length poem being released in Spring 2018 by the University of Regina Press. Each fall, Phoenix Theatre’s Spotlight on Alumni offers the chance for returning alumni to share their experiences with both audiences and current students alike. This year’s spotlight features a pair of performers who are currently living their dreams, every day, as writers, performers, directors and filmmakers—as well as husband and wife: Danette Boucher and James Douglas. These two talented UVic alumni are making history — literally — every day, working in BC’s fabled Barkerville Historic Town. 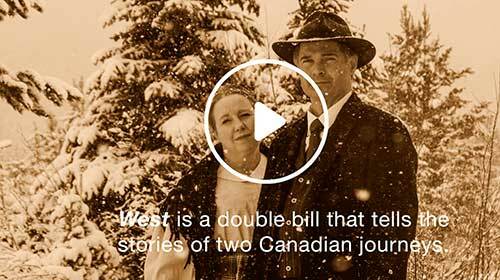 And now, on stage at the Phoenix from October 10 to 21, Boucher and Douglas will present the stories of two BC pioneers who traveled west in search of a new future: Lady Overlander and The Fred Wells Show. But whether backstage or in the classroom, Boucher and Douglas will mentor current students, offering guidance on how they too can navigate life’s journey and achieve their dreams. Donning hoops, petticoats, bonnet and a classic Victorian cotton dress, actor and playwright Danette Boucher’s “office” looks like a 19th-century ghost town, albeit bustling daily with tourists from across Canada. In truth, Barkerville is one of BC’s most frequented and important heritage sites — and has a long history of hiring Phoenix students and alumni to perform in the park. 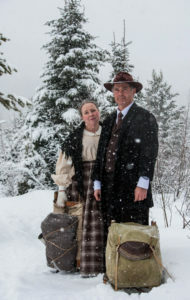 Together with her husband — actor, director and filmmaker James Douglas — Boucher has spent decades telling the stories of Barkerville’s past, and they are now both part of the park’s artistic and management team. 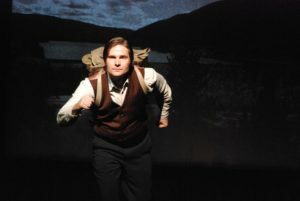 Their passion for history also led Boucher and Douglas to create Histrionics Theatre Company to better tell their favourite dramatic stories from our past — including current productions Lady Overlander and The Fred Wells Show, each featuring actual historical characters on their own quest for gold. “I first stumbled into museum theatre in 1989 while auditioning to play Emily Carr at her childhood home in James Bay,” says Boucher. “I didn’t know then that it would lead to an exciting career in museum theatre and historical interpretation.” Beyond Barkerville, Boucher has also developed programming for the Royal BC Museum, Helmcken House, Craigflower Farm and Schoolhouse, Point Ellice House and Tod House. Many may also remember her as the “unsinkable” Margaret Brown, a character that she performed for the RBCM’s Titanic: The Artifacts exhibit. 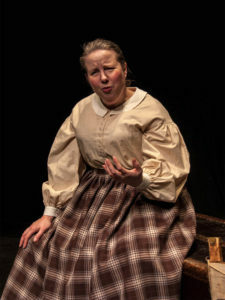 Her play, Lady Overlander, is a dramatic first-person account of the legendary Catherine O’Hare Schubert, who — while pregnant! — walked from Winnipeg to Kamloops in 1862 in search of a new life in a tantalizing new land. Meanwhile, The Fred Wells Show also tells a fascinating but little-known story from a gold rush during the Great Depression: Wells, an introverted yet charismatic American prospector, persevered against the odds until he finally struck gold just outside of Barkerville. The ensuing 1930s gold rush saw thousands of fortune seekers flock to the town named in his honour, and saved countless BC families from poverty during very desperate times. The couple make their year-round home in Wells, just outside of Barkerville, with their twin daughters. Although both Danette and James attended UVic’s Department of Theatre — twice each — remarkably, the couple didn’t meet until they worked together in Barkerville. You can read more about Boucher and Douglas in this October 5 Times Colonist interview. Both Lady Overlander and The Fred Wells Show run at 8pm till October 21 (no show Sundays) at Phoenix Theatre, with a 2pm matinee on October 21 and a bonus 7pm pre-show lecture on October 13. Tickets are $15 to $26 and are available at the box office or by phone at 250-721-8000.